A windshield chip is an innocent mechanical damage on your car’s big screen. Windshield chips are very common due to quite natural causes like airborne rocks and debris, weather conditions and time itself. Most drivers are annoyed by the occurrence of chipping, but still postpone the windshield repair because of the harmlessness of the problem. However a lot of car servicers would criticize this misconception, since windshield chipping could indicate that your glass has been weakened. 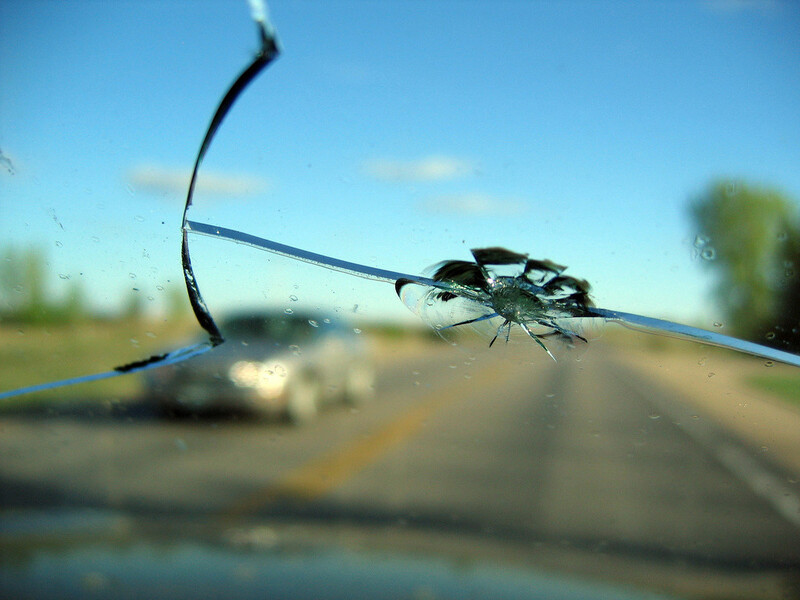 Moreover a chip can later grow into a windshield crack and require a more expensive repair or a windshield replacement. What Causes Chips to Grow? Windshield chips are more likely to grow more than 80% of the time at temperatures of -10° C.
Warm weather spreads chips into vertical cracks according to a MIRA study. The heat alters the shape of the glass which can lead to deeper cracking. The air conditioning can also worsen the situation because the air inside the car is far colder than the air on the outside. Driving itself worsens the chips. Higher speeds, uneven terrains and road bumps cause traumas on the edges of the chips causing it to crack and grow bigger and deeper. What to do when a Chip Turns into a Crack? When the harmless chip turns into a crack you have two options available. The first option is to replace your windshield which is much simpler but more expensive. Some cracks mean an inevitable windshield replacement since they’re located on the area A, or the drivers viewing field. These kinds of cracks can be a reason for a failed MOT test, and are considered unlawful, meaning you might get into trouble with the police by driving a car with a windshield like that. Now the second option is a cracked windshield repair. Most car services can do this for you, however the crack should be two inches across or a crack one foot or long max. Anything larger than that thought it can still be repaired, it might be risky. Most insurance companies will cover the costs for a windshield replacement, but if a windshield repair was possible, a replacement would be considered an insurance fraud. Check the details with your insurance company in order to avoid inconvenience and legal issue on the matter. You windshield is not only important for your visibility as a driver, but it’s also an important structural part of your car, it supports the roof and pillar area. Bearing this in mind, a damaged windshield can be a threat for your safety. Windshield cracks can get worse and shatter the windshield at speed 60mph and higher. Find car service to fix or replace your windshield in order to avoid safety risks and further windshield problems that will cost money and time.